The K-SWISS Cali-Mari is the brand’s latest minimalist offering, featuring a zero-drop design which is bolstered by a lightweight upper and cushioned sole. Boasting “maximum shock absorbing” technology in the form of “Vertical Tube Technology,” the shoes offer a cushioned ride in the form of a minimalist shoe. Upon unboxing, I was impressed with the design of the shoe from an aesthetic standpoint—I have to say that I haven’t seen a shoe quite like this one. The Vertical Tube design was certainly unorthodox, and stands out in Central Park on a Saturday morning. Additionally, the upper features a shiny metallic paint job, which made me feel like a runner from the future. 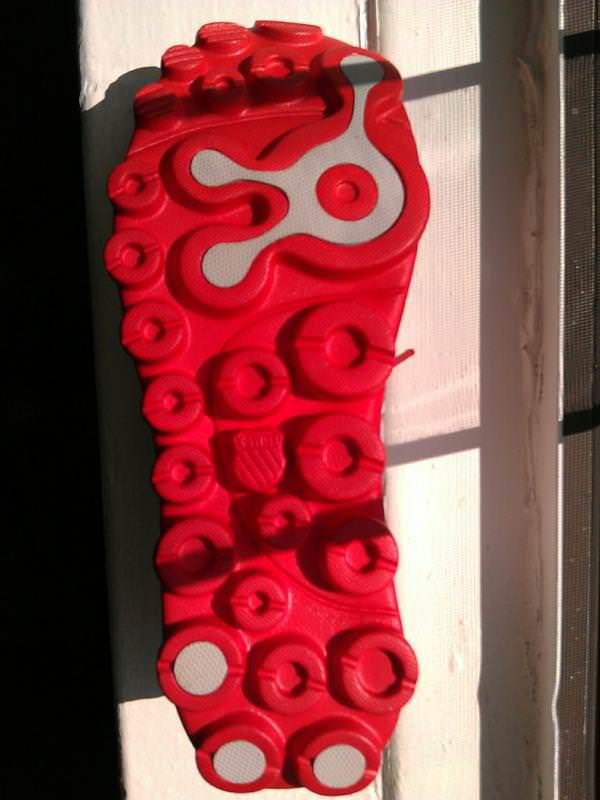 The fit and feel were comfortable, with a fair amount of room throughout the toe box and arch. The “maximum shock absorbing” sole, however, left me wondering if the shoe would be too cushioned to be considered truly minimalist. The Cali-Mari’s sole unit consists of an injection-molded EVA midsole, featuring K-Swiss’ “Vertical Tube Technology” which gives the shoe its whimsical name (a take on the calamari-esque look of the shoe’s sole). K-Swiss says the design helps brace a runner’s foot from impact, with the tube design taking on the shock of footstrike and easing the pressure placed on joints through footfall and push-off. The Cali-Mari’s upper is by far the best feature of the shoe. Lightweight, flexible, and extremely comfortable, the double-layered mesh construction provides an excellent, blister-free fit for long and short runs. 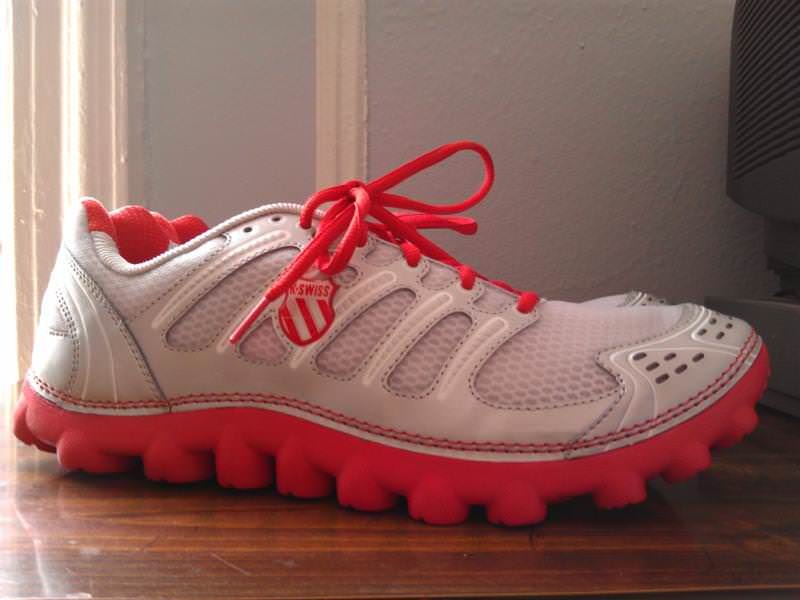 True to most of K-Swiss shoes, the toe box is roomy and allows for great flexibility. The shoe felt snug and secure through the ankle collar, fitting well without being too constricting. 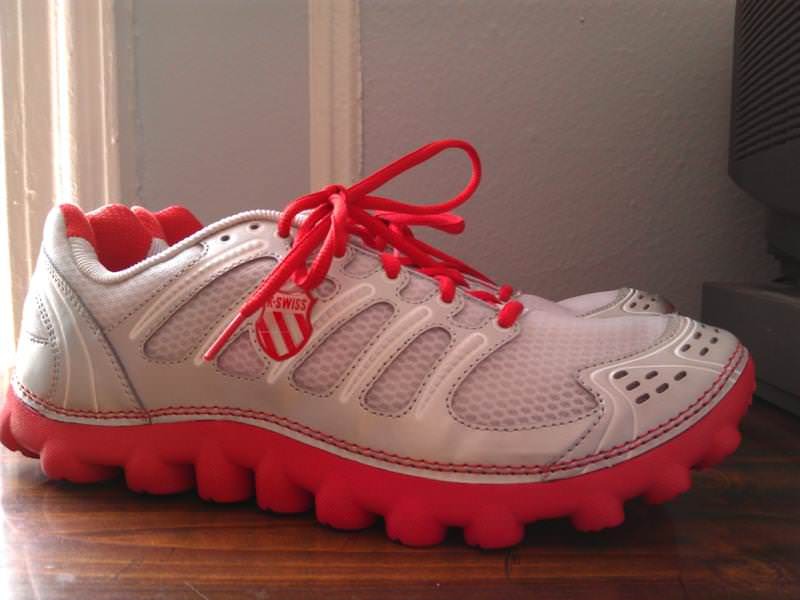 While a wholly-unique and comfortable shoe, the K-Swiss Cali-Mari is not a shoe I would associate with minimalist running. 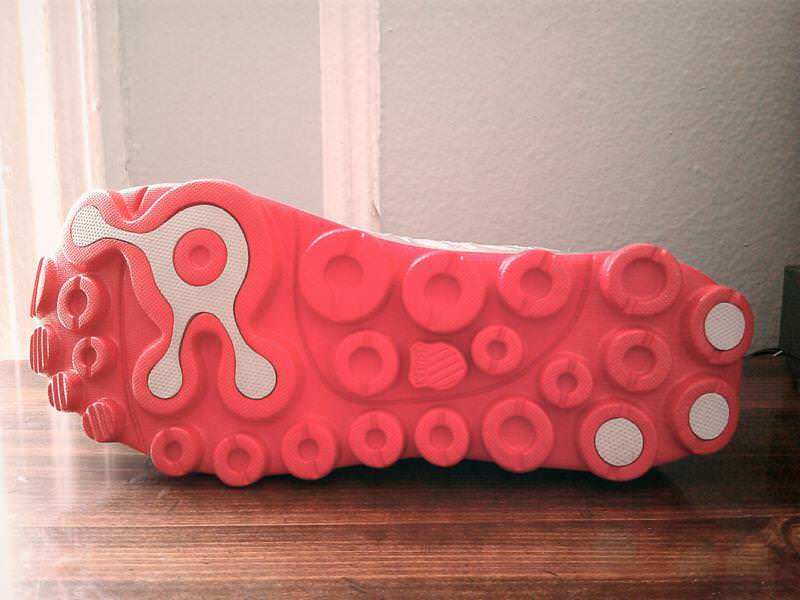 The design and cushioning, dubbed as “maximum shock absorbing,” did not allow me to feel the ground and make firm contact while running—elements of a minimalist shoe that are essential for me. The shoe itself is constructed well and fits like a dream; but these elements alone do not create a truly minimalist feel. While the Cali-Mari’s vertical tube concept is laudable, I could not help but feel that their inclusion was a style choice versus a performance enhancing decision. A more conservatively-designed shoe, especially in a category known for no-frills construction, would have resulted in a more positive experience. Although I would have no qualms about recommending this shoe to someone looking for a comfortable, casual shoe, I would be hard-pressed to tout the Cali-Mari to someone who is looking for a dependable, minimalist running shoe. 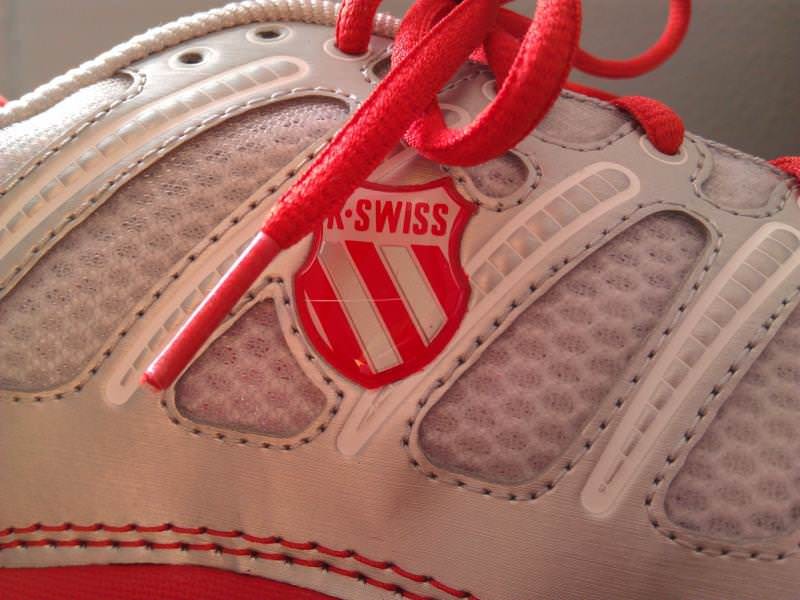 We thank the nice people at K-Swiss for sending us a pair of Cali-Mari to test. This did not influence the outcome of the review, written after running more than 50 miles in them. 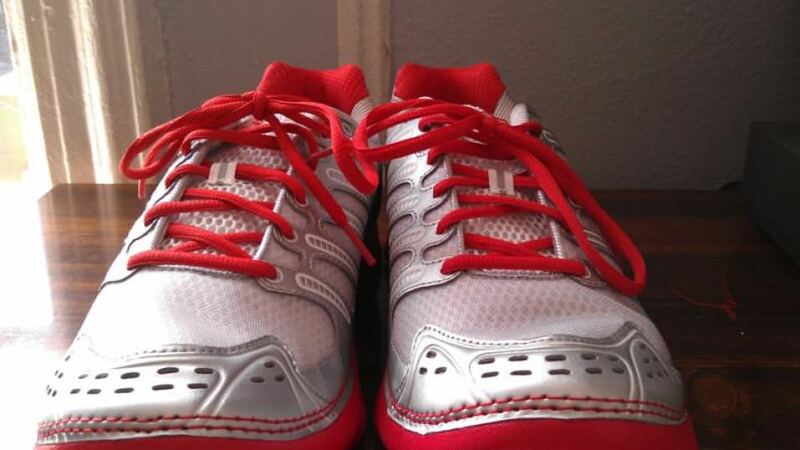 i actually like the cali-mari, and i as a newbie runner, i use this for my training, 3ks, 5ks. i’ve always thought this was a minimalist shoe, and have been thinking of getting other shoes in that category. but if it’s not, what other shoes might compare with the cali-mari in terms of ground feel/cushioning? As far as a zero-drop heel is concerned, the Cali-Mari definitely takes cues from minimalist models. 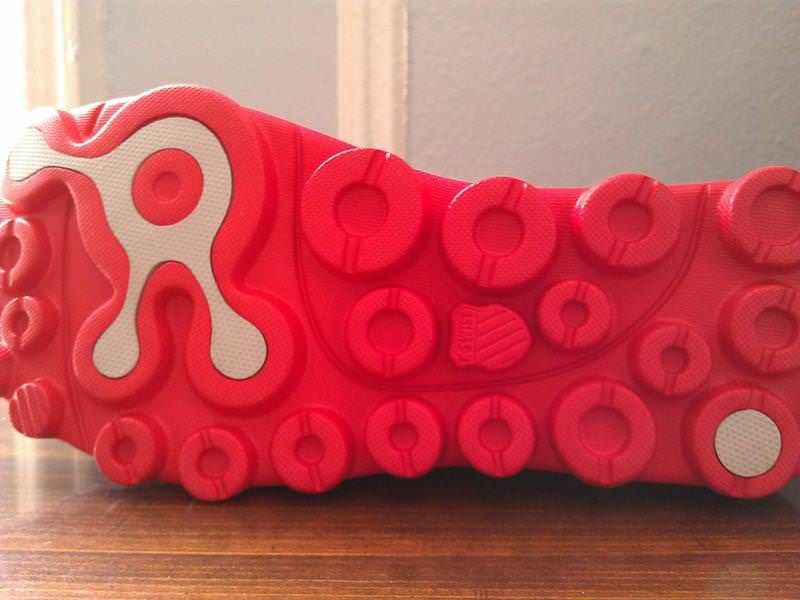 The cushioning in the outsole is what made me hesitant to put it in this category. Truthfully, I believe this shoe straddles the line between neutral and minimalist, so a shoe on either side of the spectrum might be to your liking. 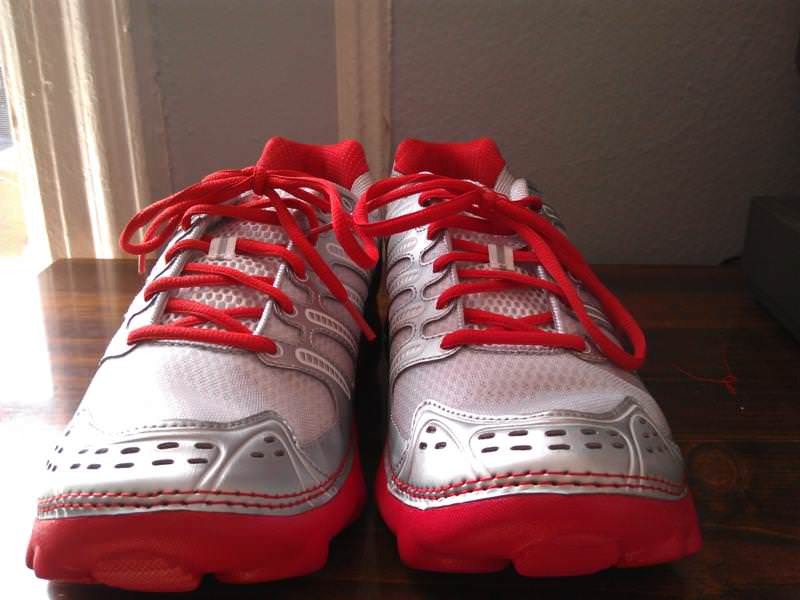 On the minimalist side, I would consider the Brooks Pure Connect (http://www.runningshoesguru.com/2011/12/brooks-pure-connect-running-shoes-review/). For a shoe with a bit more cushioning, the Nike Zoom Pegasus 29 might be a good fit (http://www.runningshoesguru.com/2012/06/nike-zoom-pegasus-29-review/).